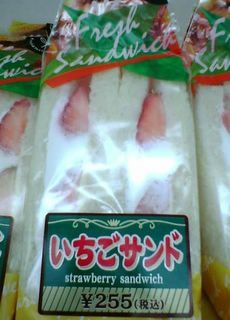 I spotted this in a conbini (convenience store) the other day - a strawberry and cream sandwich. My common sense was kicked in the shins by my curiosity, and I was forced to buy it. 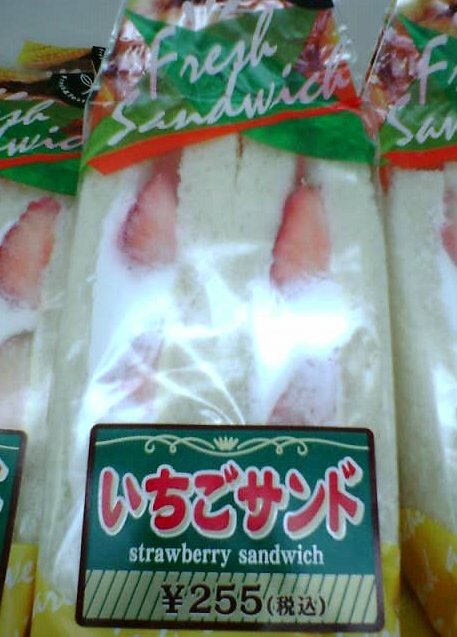 Unfortunately, it tasted exactly how I imagined bread with strawberries and cream would taste. 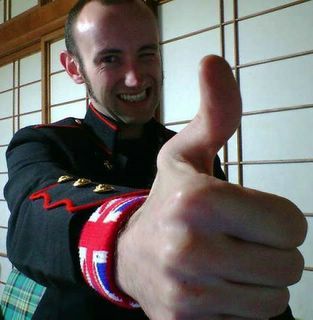 Dude you will have to post one over to us and then we can give you an opinion when it has travelled a few miles and is a few days older it can only get better! Y255 for a strawberry and cream sandwich. That's, what, £1.30? I'm guessing that each pack contains approximately 2 complete strawberries. Therefore 6 packs will get you 12 strawberries at a cost of Y1530 or £7.80. Comparred to your God's Fruit post, that represents a remarkable saving of over Y3000 or £15. And you get free bread and cream! Sounds like remarkably efficient way to get your five portions of fruit. Could you hawk the fruit to the department store at a profit? Not a bad idea Tim. Although it's probably not a good ides to mess with God's Fruit. I might get into all sorts of trouble for selling unholy strawberries.